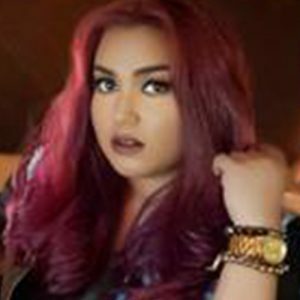 Vanessa made her first step to stardom from QTV’s talent-oriented show “POP STAR KIDS” hosted by the popular singer KYLA in 2006. After being one of the 5 finalists on the said competition, “Wani” (as many people close to Vanessa calls her) collaborated with the other top 4 winners and formed the group “SUGAR POP,” founded by their mentor Mr. Danny Tan. After releasing their first album under Sony-BMG Records titled “Dream,” Sugarpop followed right after with an impressive sales rate. The group lasted for 3 years and made exclusive appearances on GMA 7’s Sunday variety show SOP. Singer of the youtube sensation, “Dota vs GF”, Vanessa, now the singer of THE TWIST proves that she can do more than just RnB by showcasing her vocal versatility with some of her Rock and Alternative repertoire.